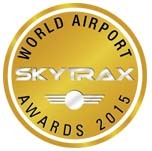 On March 11, Vancouver was in spotlight at the 2015 World Airport Awards, with Vancouver International Airport (YVR) and the Fairmont Vancouver Airport receiving top honours from Skytrax’s award ceremony held in Paris, France. For the sixth consecutive year, YVR took the title of Best Airport in North America by Skytrax World Airport Awards, the premier international airport awards voted on by more than 13-million passengers worldwide. YVR was also named the best airport in the 10- to 20-million passenger category and number 11 of the world’s top 100 airports. The Fairmont Vancouver Airport was named Best Airport Hotel in North America. The hotel category was introduced five years ago and Fairmont Vancouver Airport has held first place in four of those five years. Singapore’s Changi Airport earned the World’s Best Airport title for the third year in a row. Known informally in the travel industry as the Passenger Choice Awards, the Skytrax World Airport Awards are the global benchmark of airport excellence. For the 2015 awards, more than 13-million passenger surveys were independently conducted across 550 airports in 112 countries. The survey measures 39 dimensions of the airport experience including check-in to border clearance efficiency, signage, transportation availability, design and layout, as well as shopping, service and dining options.